HolidayExtras.com® has five off-airport hotels available in Bristol, each offering the perfect retreat from the hectic stress of the airport. If you want to spend as little as possible, or you can afford to be a little more extravagant, we have a selection of 2, 3 and 4-star hotels at Bristol to suit all budgets. What is an off-airport hotel? Off-airport hotels are located away from the airport grounds, meaning you benefit from a peaceful nights sleep before your journey. Our Bristol hotels are all within seven-and-a-half miles of the airport, giving you the perfect balance between comfort and convenience. Each hotel offers transfers to and from the airport terminal 24 hours a day. Prices vary from free up to £5 each way (subject to change). Why should I pre-book an off-airport hotel? If youre on the lookout for the best deal, booking in advance is essential with off-airport hotels. Youll be sure to save more by pre-booking. With HolidayExtras.com, not only can you save up to 40 per cent, we also cover our prices with a Best Price Guarantee. 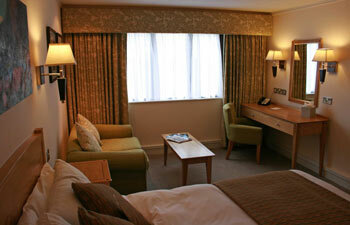 Which off-airport hotels can I choose from in Bristol? If youre looking for a hotel that combines quality with a more affordable price, the 2-star Town and Country Lodge will cater to your needs. Breakfast is included and its less than five miles from Bristol airport. 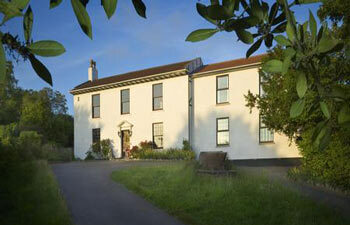 With a slightly higher budget, the 3-star Winford Manor will provide a peaceful nights rest in a relaxing setting. It's just three miles from the airport and includes a continental breakfast. There's no better way to start your holiday than with one of our three 4-star Bristol airport hotels, each offering exceptional quality in beautiful surroundings: Plush Hotel, the Doubletree by Hilton and the Redwood Hotel & Country Club.